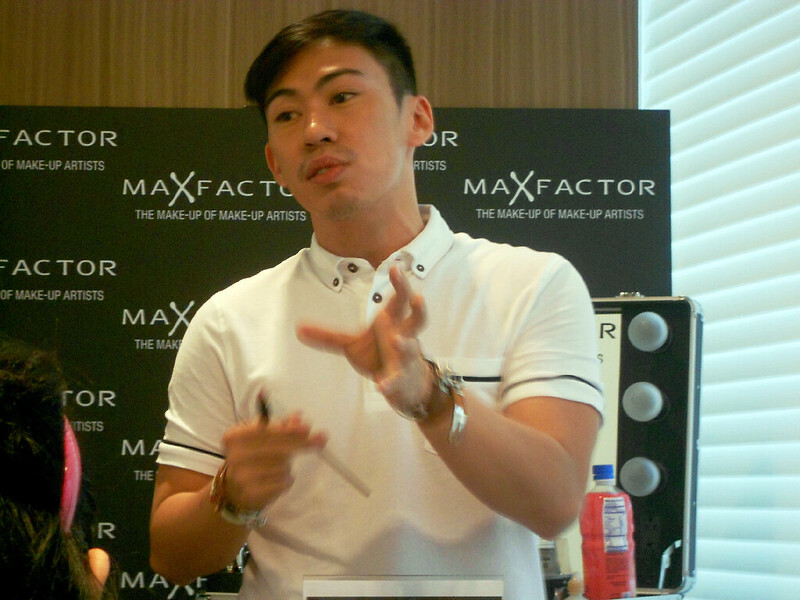 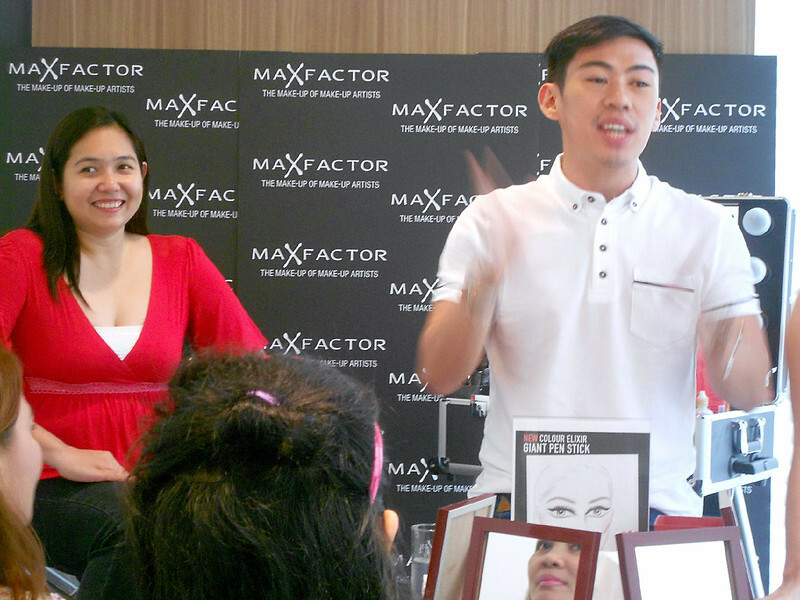 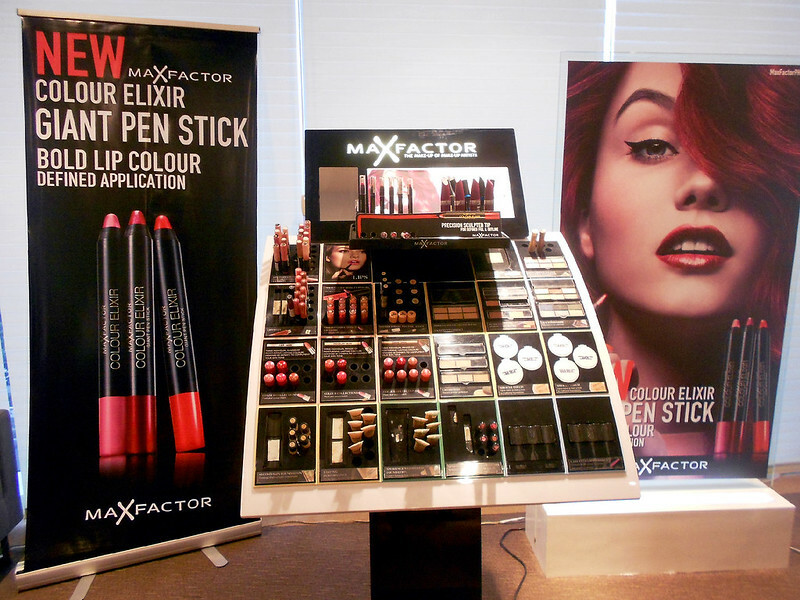 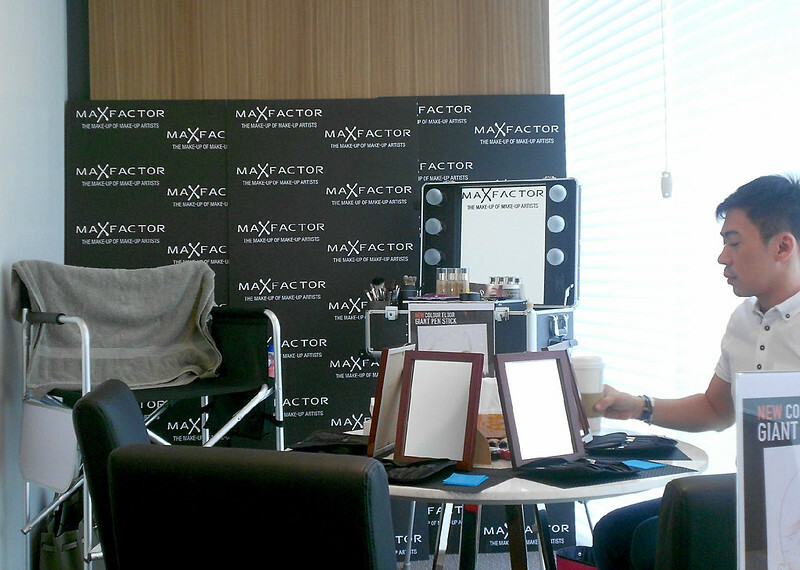 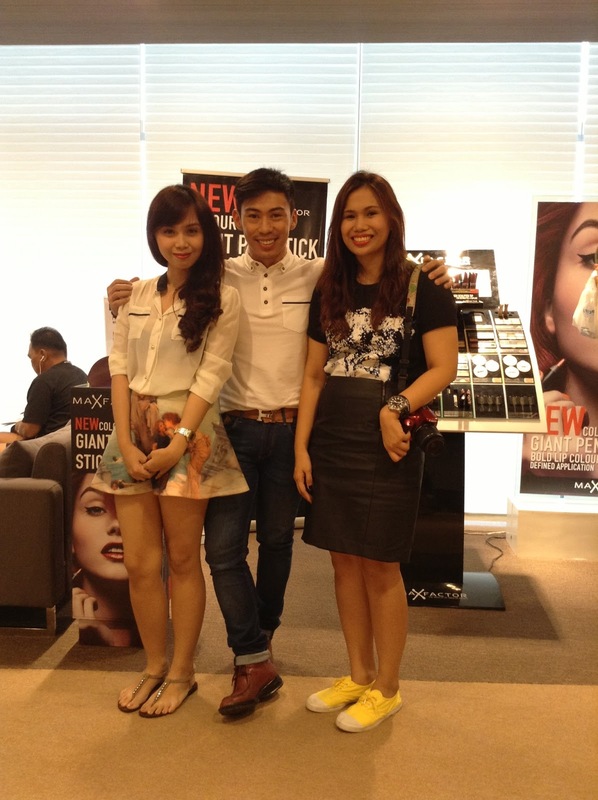 Remember my post about Max Factor and renowned makeup artist Sir Bobby Carlos months ago? 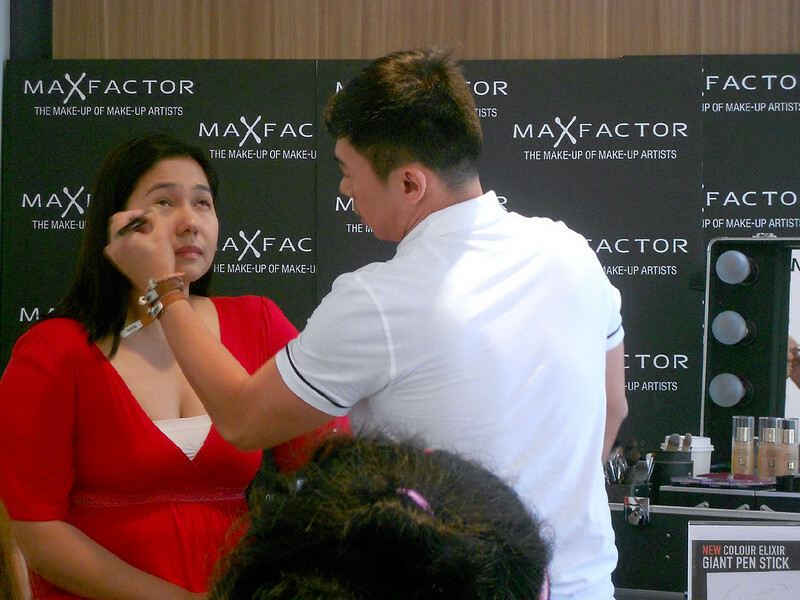 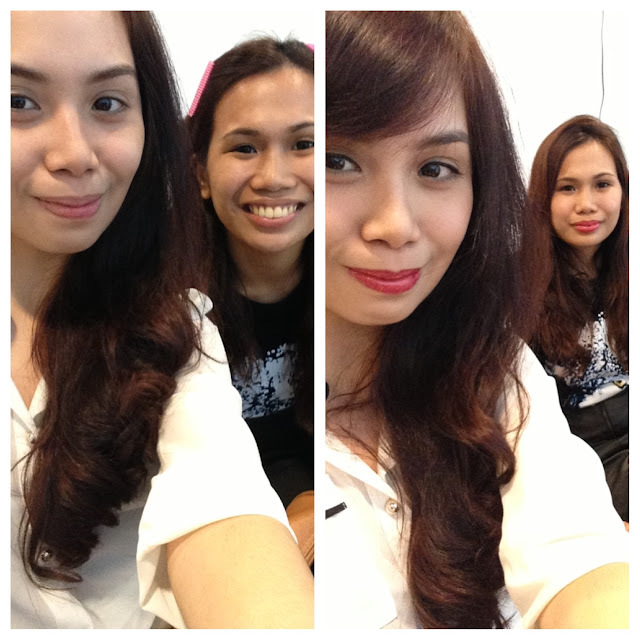 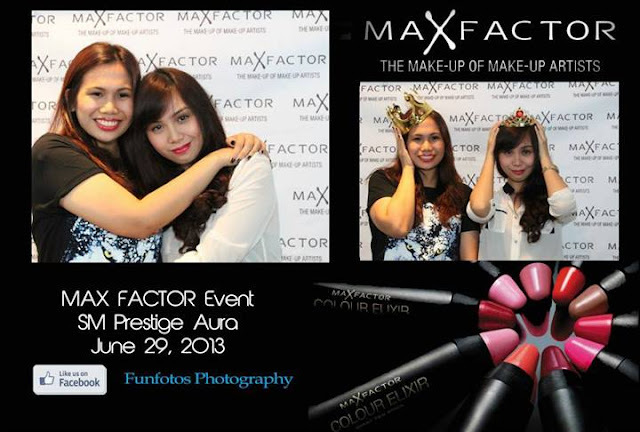 After that makeover session, I started to love Max Factor even more. 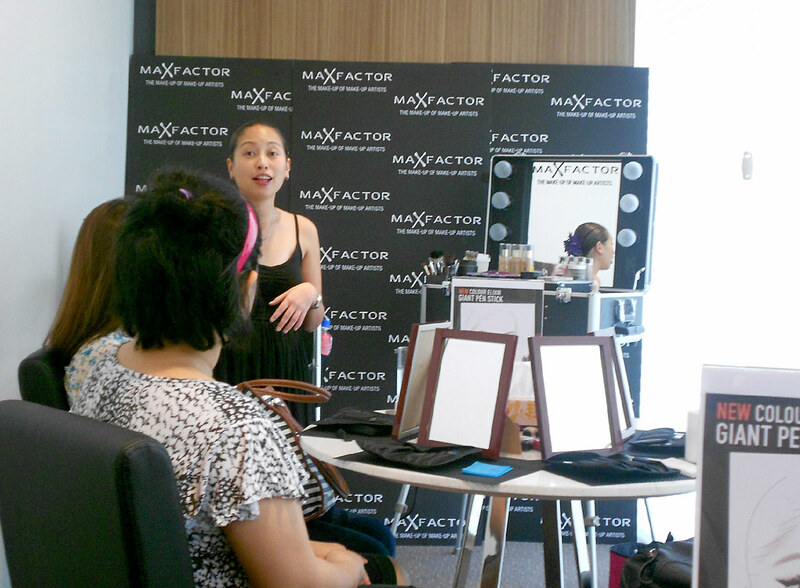 I use their 3-in-1 All Day Flawless Foundation (Facefinity line) everyday and can't help but rave about the product to my friends. Super love the coverage and the flawless look it gives me!! 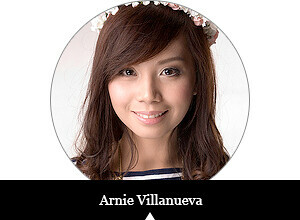 ♥ Di rin siya heavy sa face so bongga talaga 'to. 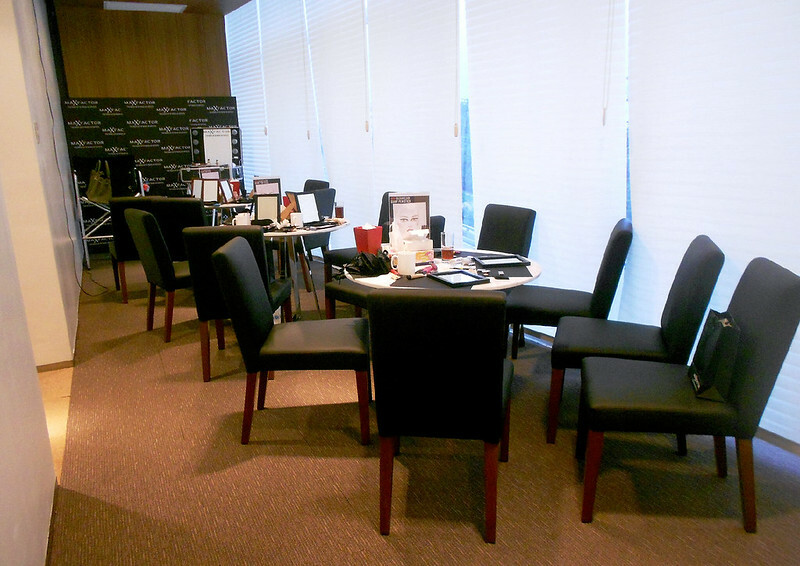 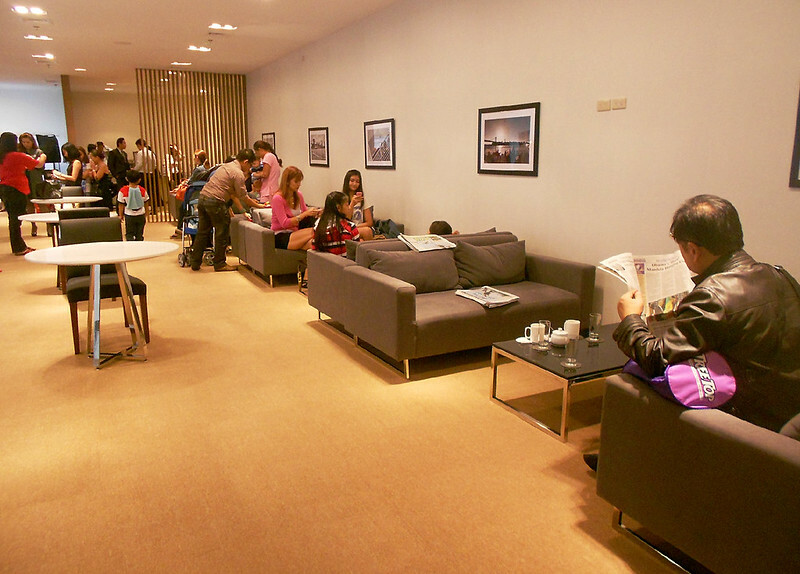 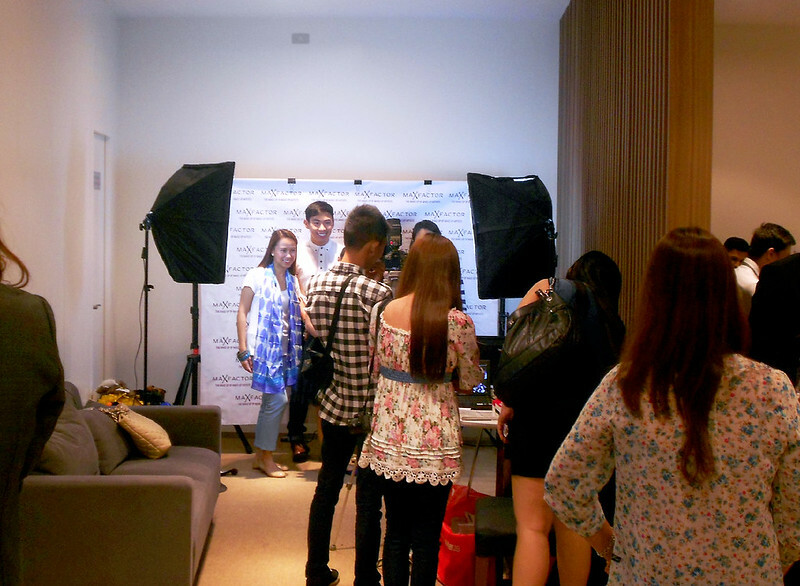 This intimate event was held at the very cozy SM Prestige Lounge of SM Aura Premier. 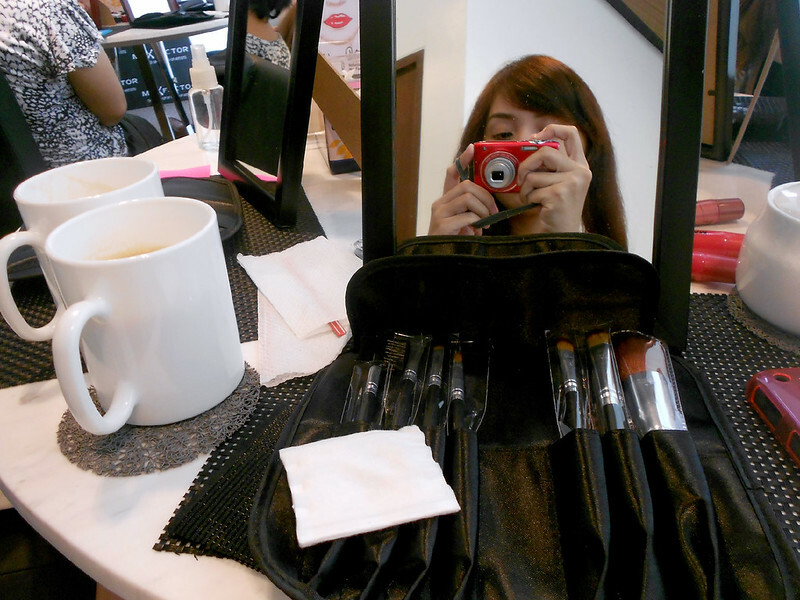 Each of us were given complimentary drinks (syempre coffee kami ni Ana over iced tea, hehe!). 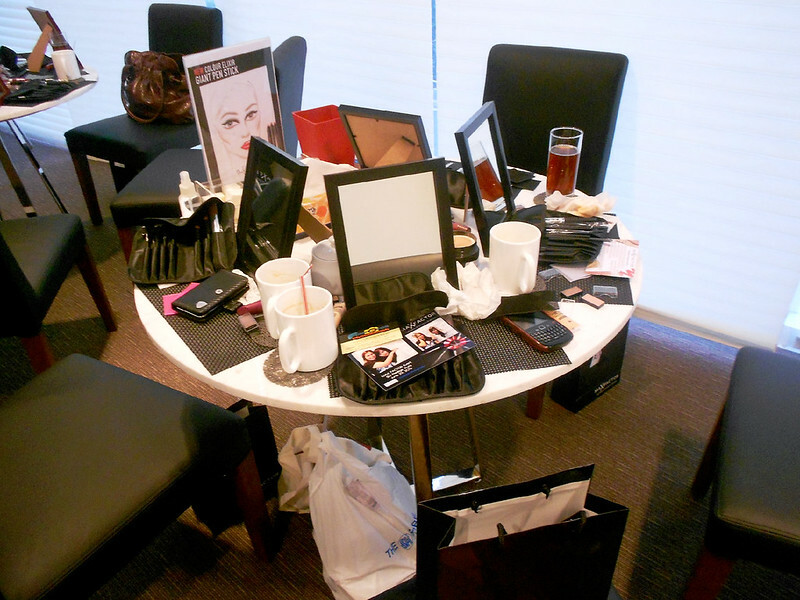 Brush sets and makeup products were also provided so we can follow Sir Bobby and try out the makeup techniques to ourselves. 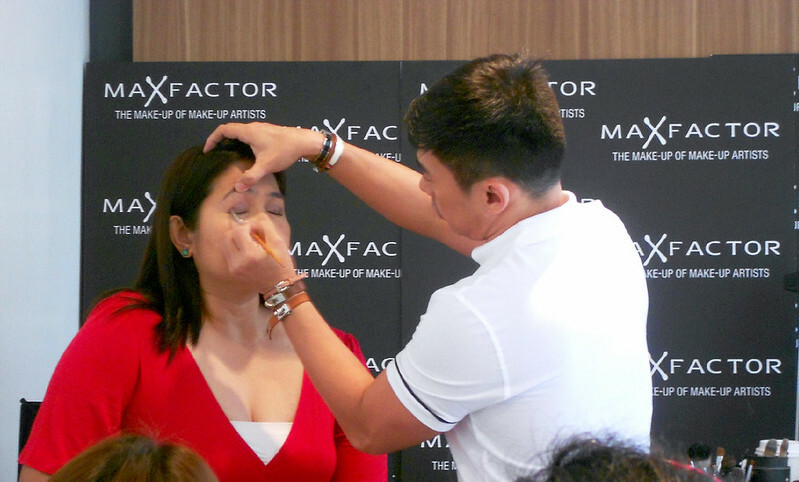 Sir Bobby demonstrated makeup techniques appropriate for everyday ganaps. 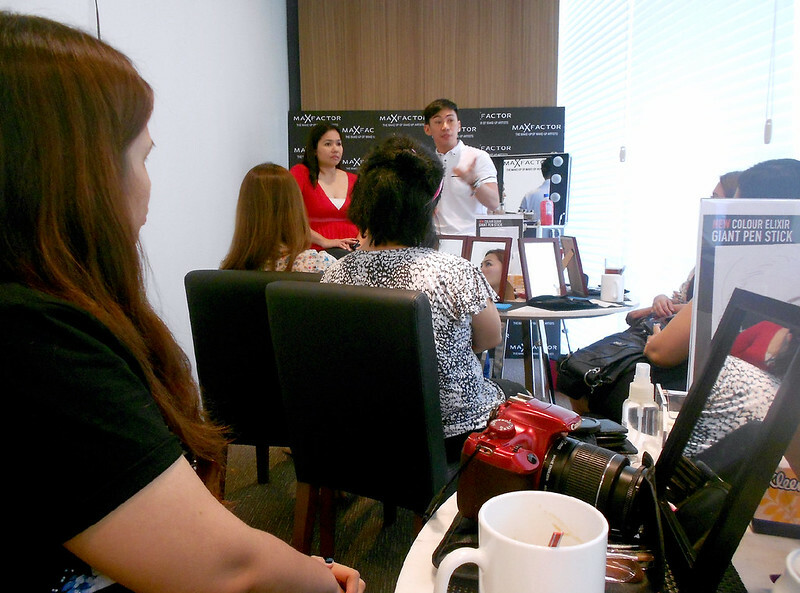 His tips were superb, practical and perfect for women on the go.